Have you ever wondered why success seems to come easy for some and not for others? Do you believe that the secret to success might be more than just hard work? Would you like to unlock the hidden potential inside yourself, and realize success in all areas of your life? 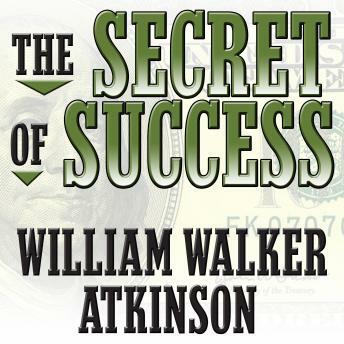 In this audiobook, you will find the secrets of success from William Walker Atkinson, attorney, merchant, publisher, author, and pioneer of the New Thought movement. You will learn how to awaken the sleeping forces of attraction, your personal magnetism, the powers of desire, and more to create the life you have always wanted. These lessons are for use by anyone who wants to apply the latent powers of their individual spirit to accomplish more, experience fulfillment and find a sense of real purpose and control in his or her life. Open your mind and enjoy the journey of growth that can be yours if you decide to apply these secrets to success.